Posted May 12, 2017 by finnfemme & filed under Fashion, Vintage. 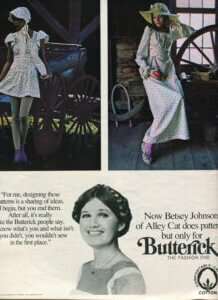 Betsey Johnson of Alley Cat designs were hot, hot, HOT in the early 1970s. 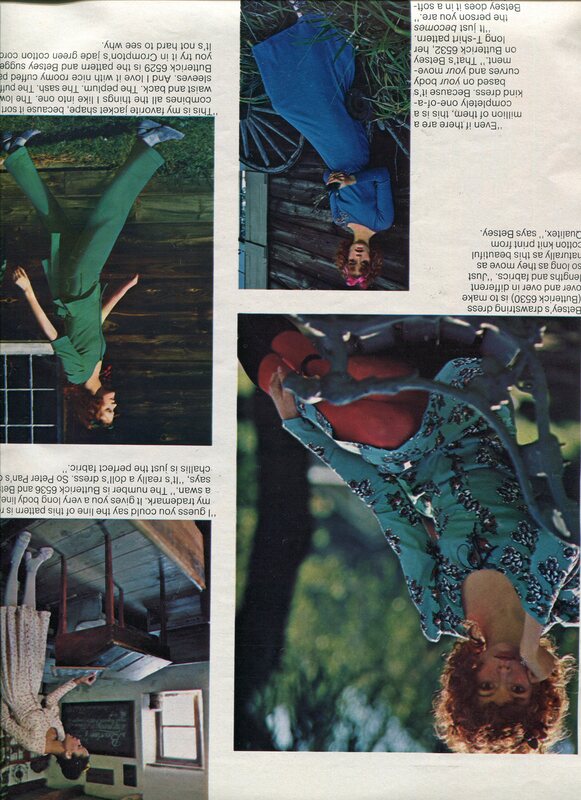 The problem, for most of us teenage girls, was that her fashions were on the expensive side. 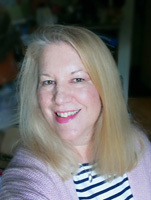 Oh, how I drooled over her fab wool print sweater dresses. 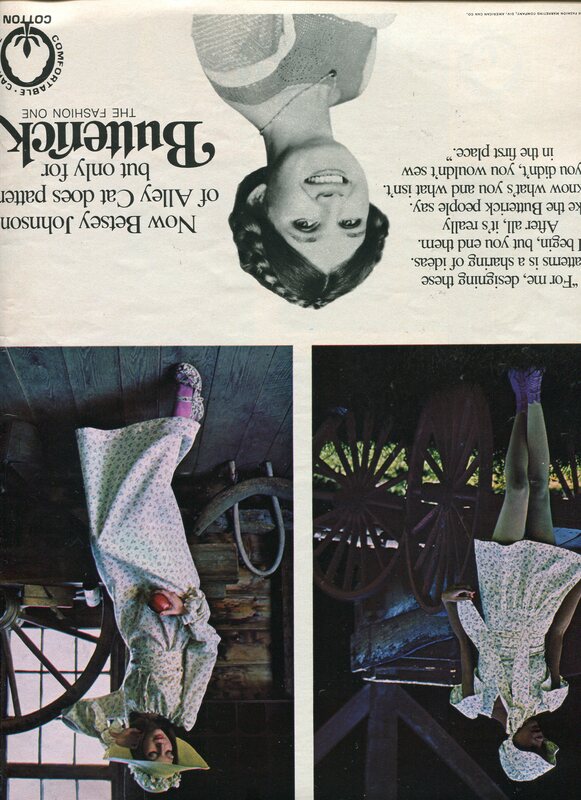 Since most of us sewed (Home Economics classes were mandatory), we all cheered when Betsey made her designs available exclusively as Butterick patterns. I was a horrible seamstress, but I got my mom to sew me quite a few of the Alley Cat designs in my high school years. I loved them so much! 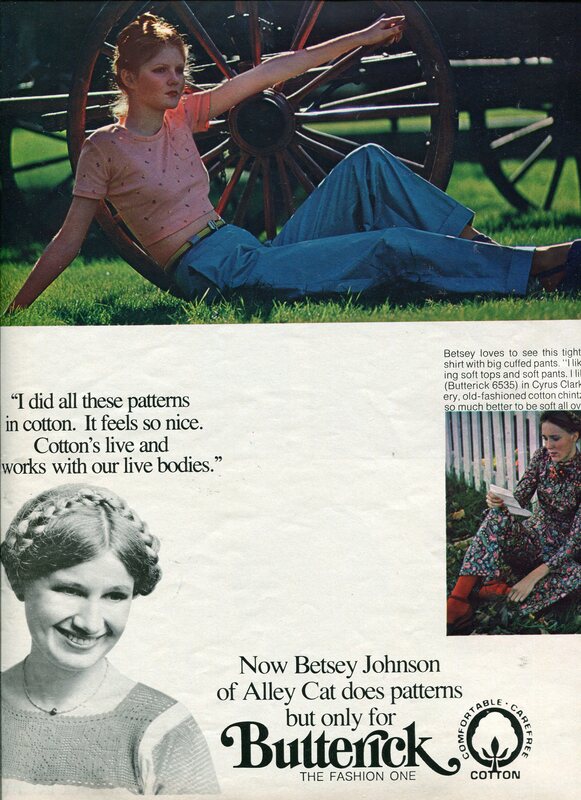 This four-page ad was in the January 1972 issue of Seventeen magazine. It featured Betsey in all her braided Boho glory, along with her darling fashions that you could now sew. 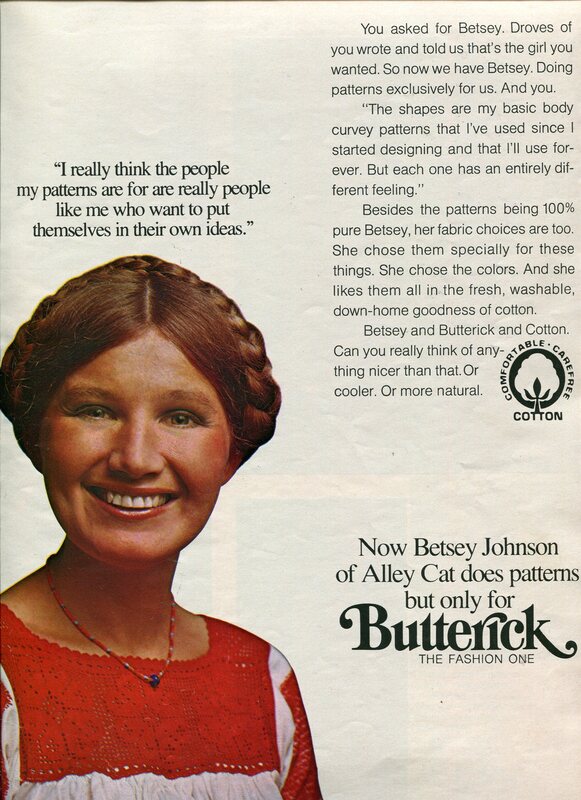 The patterns designs were 100% pure Betsey, and the fabric choice was too. She chose the colors. 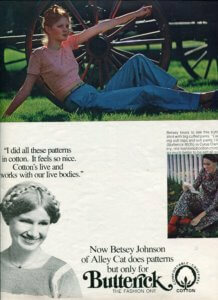 And she liked them all in the fresh, washable, down-home goodness of cotton.